Jakarta Council's Commission B encourages all SKPDs to fix budget plans of all activities that have been proposed in City Budget (APBD).
" 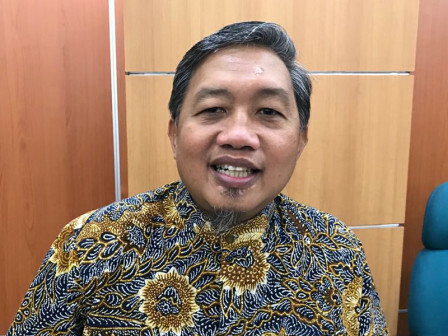 In the future, those things shouldn't be used as the reason for high SiLPA"
Commission B Head, Abdurrahman Suhaimi said, budget planning needs to be corrected to prevent failure auction that can make the remaining budget (SiLPA) becomes high. "In the future, those things shouldn't be used as the reason for high SiLPA," he affirmed, Tuesday (7/24). During City Budget 2017 meeting to review about accountability report, he mentioned Jakarta Budget Team (TAPD) conveyed many reasons that cause failure on auctions. According to TAPD explanation, failure on auctions is caused by unqualified auction participants. Beyond that, it is also caused by unclear auction winner's address. "I want them not to let it happen again. Before joining the auction, participants must be ensured to fulfill all the requirements. Don't make it seem less supervision," he continued. Related to this case, he suggested Jakarta Goods and Services Procurement and Service Agency (BPPBJ) to be strict towards dubious companies that participate in auction. "Those who have violated the rules should be black-listed thus development will be not hampered and budget implementation can go well," he explained.